Product prices and availability are accurate as of 2019-04-20 20:21:39 UTC and are subject to change. Any price and availability information displayed on http://www.amazon.com/ at the time of purchase will apply to the purchase of this product. 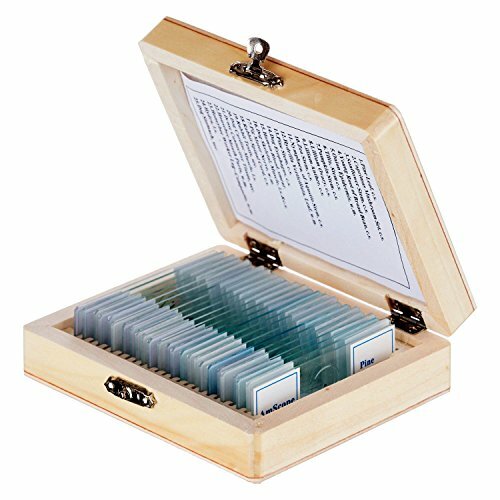 The AmScope PS25W microscope slide set includes 25 prepared slides of a variety of specimens including plants, insects, and animal tissues used in basic biology education. 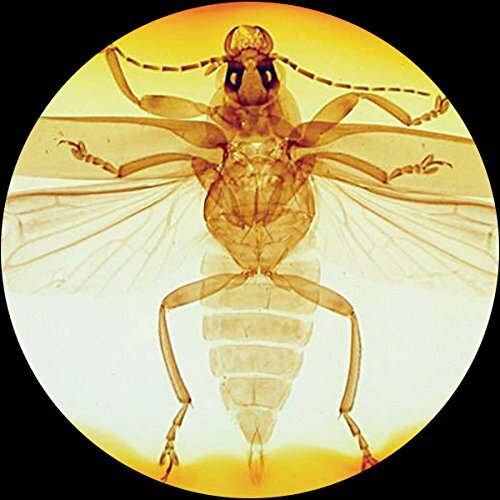 The samples are preserved in cedar wood oil and sealed with a coverslip to preserve specimens and prevent contamination. Labeling on each slide identifies specimens. Slides are composed of optical glass for clear viewing and are 3 x 1 x 0.4 inches/75 x 25 x 1mm (H x W x D, where H is height, the vertical distance from the lowest to highest point; W is width, the horizontal distance from left to right; D is depth, the horizontal distance from front to back.) The set comes in a fitted wooden case to prevent breakage and ease handling.